Life has been hard the past week or so. Hard but good. I feel God is working-in my life and in my loved one's lives. Refining is not a fun process. Knowledge may be power and powerful, but it isn't necessarily pleasant. I am thankful for each one of you who has prayed for me and mine this week. I am thankful for each one who left a comment or made a phone call. I feel very loved and cared for. When life is rough it's time to haul out the comfort food. Food like meatloaf. I just want to go on record saying that I am NOT a meatloaf lover. I am a meatloaf avoider. I can never understand the people who order meat loaf at a restaurant. What a waste of eating out! 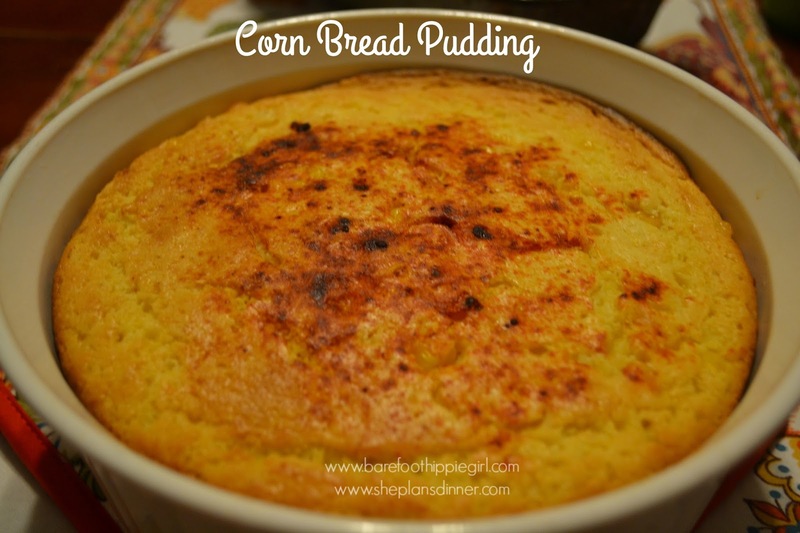 I came across this recipe about a month ago as I was doing research for She Plans Dinner. This meatloaf recipe revolutionized my ideas of meat loaf. It is simple and amazing! Amazing! It is so easy that even my 6 year old has made it. All that I did was chop the onion for her. My family oohs and aahs over it. They are totally excited when I mention it is on the menu for dinner. 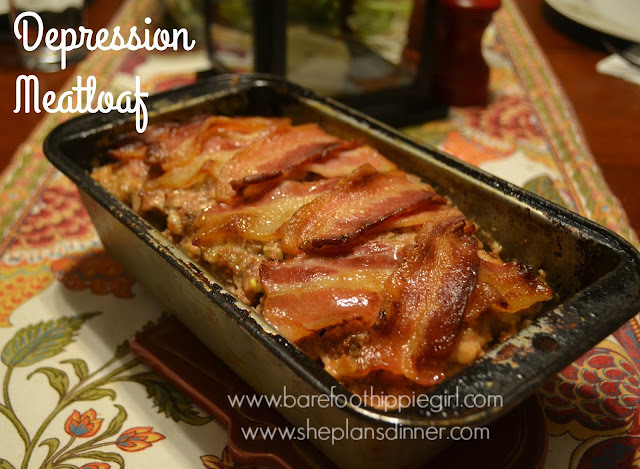 I don't know why it is named Depression Meatloaf. There is nothing depressing about it! -In a large bowl, pour milk over bread. Let stand until milk in absorbed. -Add onion, salt and pepper to the bread and stir with a fork until the bread softens and is light and fluffy. Mix in ground beef. -Place meat mixture into a lightly greased loaf pan. Top with bacon strips-halved length-wise and criss-crossed over top. Bake at 350 degrees for 1 hour. This pairs very nicely with Cornbread Pudding. Get your meatloaf in the oven, and then make the pudding. It is light and fluffy and slightly sweet. A perfect compliment to the meatloaf. -In a large bowl, combine the first 5 ingredients. Stir in cornbread mix just until blended. Pour into a greased 3 quart baking dish. Sprinkle with paprika. -Bake uncovered at 350 degrees 40-45 minutes or until a toothpick inserted near the center comes out clean. Happy eating and have a wonderful weekend!